 The College of Arts and Sciences Staff Association (CASSA) provides an opportunity for non-faculty employees to meet in an informal setting for professional development training and an opportunity to share their views and suggestions with the dean. CASSA events are open to all non-exempt employees of the College, including those within Clark Hall as well as those working in the College’s departments, programs, and research centers. CASSA meets once each semester, including during the summer, over lunch. These meetings feature a guest speaker from a campus office related to CASSA members duties (e.g., benefits, student services, health and safety).The dean or a member of the College’s senior administrative leadership attends each meeting. The dean strongly encourages A&S divisional chairs and directors to ensure that their units’ staff members are freed from their work duties in order to attend each semester’s CASSA meeting (noting that some meetings last longer than a usual lunch hour). For more information about CASSA and upcoming meetings, contact Catherine Doughty-Walker in the A&S Dean’s office at (205) 348-7007 or cedoughty@ua.edu.